We offer a wide variety of advertising opportunities in our both our printed and online publications to help AGC of Missouri members reach top contractors in the state’s growing multi-billion dollar construction industry. 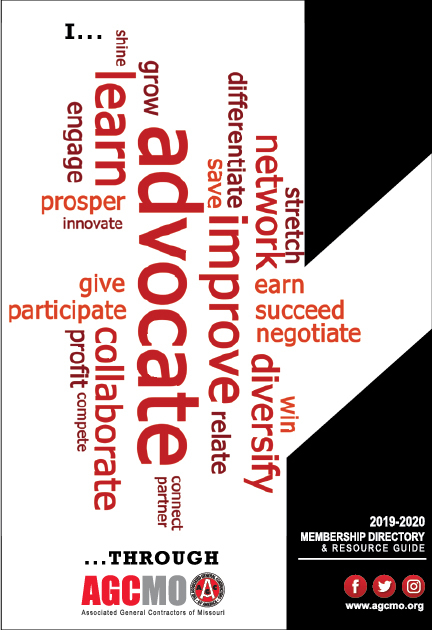 The Missouri AGC Voice is the association’s annual magazine, and covers construction and other related topics important to members including legislation, economics, technology, safety and more. The Missouri AGC Voice ships in July and also includes a fully interactive digital edition. View the magazine’s digital archives here.